Remember opening weekend when we were so thirsty for football that Northwestern vs Purdue was a household event big enough to feel like a playoff game? Well it's week 5 and these teams are now a combined 2-5 with losses to Eastern Michigan and Akron. Welcome back to the Big Ten West, the weakest division of the Power 5 conferences. Wisconsin was a glimmering light but their loss to BYU casts doubt on the Badgers' success this year. I guess Michigan can enjoy the practice before diving into the real meat of the schedule. The last meeting between these two schools was a 38-0 tubthumping that was over in the first 13 secondsafter a Jehu Chesson kickoff return. 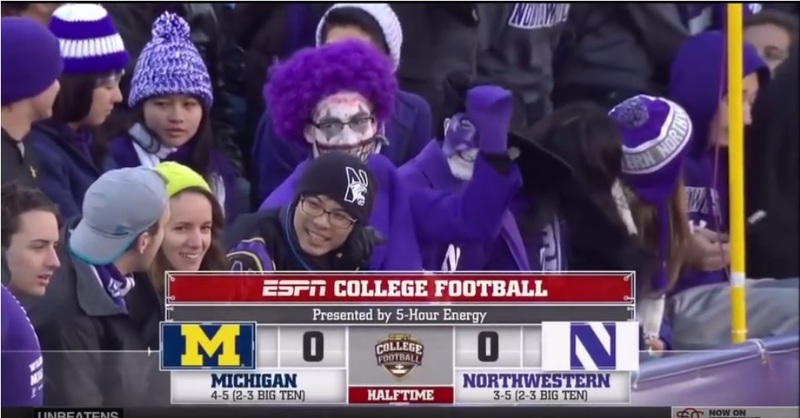 This would be the only not stupid Michigan vs Northwestern game in the last 11 years. This year shouldn't be stupid. But I've been wrong before. 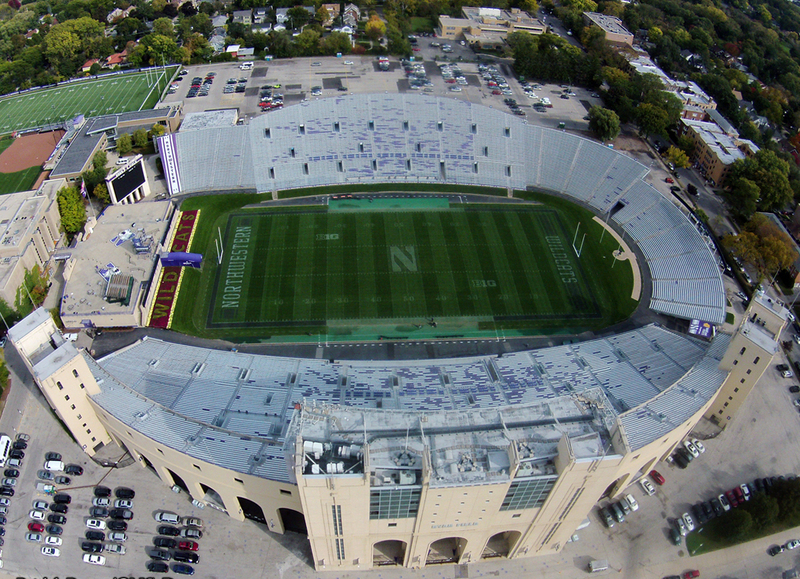 For a detailed analysis of Northwestern's spread offense, see MGoBlog Fee Fi Foe Film. Northwestern also loses their top running back, Jeremy Larkin, who has retired from football due to a non-life threatening neck condition. Larkin was averaging 115 yards per game at 4.8 avg. The next leading rusher on this offense has 21 total yards. In fact, the Wildcats have 5 total rushing yards outside of Jeremy Larkin, sacks included. Northwestern's offensive line was also without two if its starters against Northwestern, Tommy Doles (#71) and Blake Hance (#72). Doles had 29 consecutive starts before his injury. Take out the sacks and Northwestern had 106 yards rushing at 3.3 avg in this game - yeesh. But Northwestern is coming off a bye going into the Michigan game which gives these guys a good opportunity to heal. 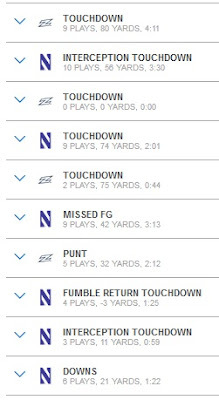 Don't expect Northwestern to be as bad as they were against Akron, but expect them to still be bad. Chase and Rashan will consume. At quarterback, Northwestern has Clayton Thorson (#18) OR TJ Green (#10). Northwestern's QB situation has been weird because Thorson is a 4-year starter (coming off an ACL injury) and TJ Green is... Not great. It's possible that Thorson is not 100% and is sharing snaps to get eased back in. The good news for Northwestern fans is that Clayton Thorson is now the all-time record holder for passing touchdowns at Northwestern. The bad news is that he hadn't thrown a touchdown pass until the Akron game. If there were to be a scary thing to pick from this NU offense, it's that Flynn Nagel is a solid slot receiver coming off 489 and 447 yard seasons. Through 3 games he already has 226 yards in 2018. Michigan struggled on slants against SMU so if the Wildcats want to expose a weakness, this is it. There's not a whole lot else to be said here. 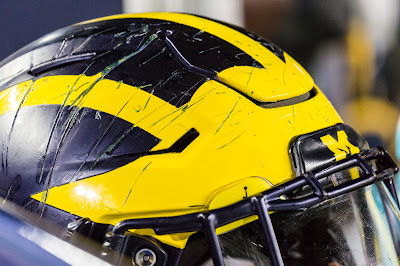 You know what Michigan's defense does to bad offenses. Khaleke Hudson will be gone for the first half of this game but this did not seem to impact the first half against Nebraska much. Joe Gaziano is going to be a problem. An All Big Ten defensive lineman, Joe Gaziano (#97) will be one of the best defensive ends Michigan faces all year. Last year he recorded 9 sacks for the Wildcats and 12.5 TFLs. 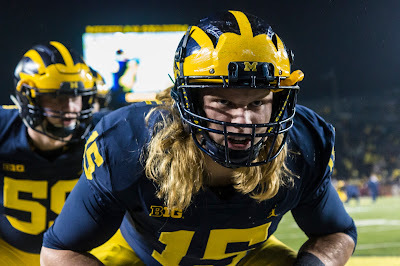 Michigan's offensive line hasn't been talked about as much in the last couple weeks which, if you're an offensive line, is the best case scenario. But if Michigan's line is truly improving, this will be the test. Against Duke, he had 5 tackles, 4 TFL, and 2 sacks. In fact, Northwestern's defensive line is loaded with talent. Nose tackle Jordan Thompson (#99) recorded 3 tackles, 1 sack, and 1.5 TFLs against Duke. The front seven also led by linebackers Paddy Fisher (#42) and Blake Gallagher (#51) held Duke to 97 yards rushing (2.5 avg) and Akron to 110 yards (3.1 avg). But the Northwestern secondary is not good. Against Akron, Northwestern gave up pass plays of 40, 43, and 56 (277 pass yards). Against Duke, Northwestern gave up pass plays of 26 and 52 (204 pass yards). Against Purdue, Northwestern only gave up a long of 32, but gave up 270 total passing yards. Cornerback Greg Newsome (#29) is a true freshman and their 5-year senior Jared McGee (#41) could be benched for a redshirt freshman by the end of the season. Michigan's got the receiving and tight end units to torch the Northwestern secondary if Michigan gets the time on passing downs. Michigan's only touchdown by a receiver last week was Ronnie Bell, but DPJ could have a repeat performance to the 3-touchdown outing he had against SMU. 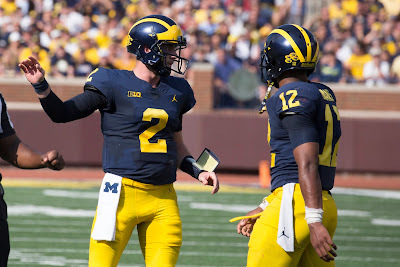 -...Shea Patterson scorch-earth policies the Northwestern secondary. -Northwestern's front 7 gives Michigan's O-line fits and we complain wildly about it on Twitter despite a game that Michigan won comfortably. Northwestern is going to struggle to put up points. But then again, so could Michigan. 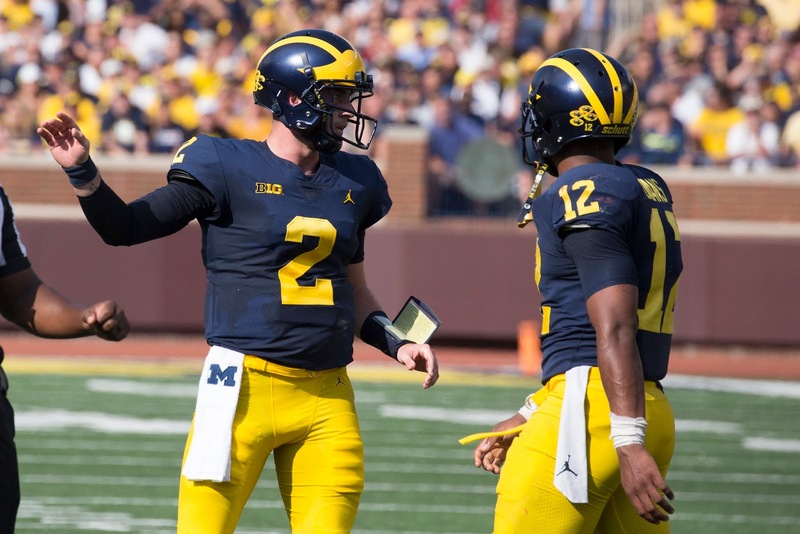 This is not a game that worries me but there may be some things to learn about Michigan from their offensive performance.